Cheese starter cultures are single strains of bacteria, mass produced by the culture companies. They are not derived from animal tissue, are non-GMO and are gluten-free. The cultures are grown on a milk substrate which contains no growth hormones. Cultures will keep for up to 2 months at room temperature but keep for up to 2 years when frozen (freezing is recommended for all cultures). They are freeze-dried powders that come in large dose packets (i.e. 200L) or in single dose sachets (i.e. 8L). Mesophilic Cheese Cultures are for cheeses that are heated at or below 39°C (102°F). Thermophilic Cheese Cultures are for cheeses that are heated to a higher temperature – from 40°C (104°F) to 60°C (140°F). Cheese-making cultures and moulds vary in strength depending on the country and manufacturer. Check the packaging carefully for dosage quantities. FLORA DANICA MESOPHILIC CULTURE (Aromatic) – used to make specialty cheeses with a buttery flavour, plus makes sour cream and cultured butter i.e. baby Swiss, blue, brie, buttermilk, camembert, cottage cheese, cream cheese, crème fraiche, edam, feta, goat milk cheese, gouda, Havarti and sour cream. MESOPHILIC SOFT CURD CULTURE (M036 or Type B) – used to make soft moderate temperature cheeses i.e. chèvre, cream cheese, crème fraiche, Fromage blanc, Neufchatel and quark. MESOPHILIC HARD CURD CULTURE (M030 or Type A) – used to make hard moderate temperature cheeses i.e. blue, brie, camembert, cheddar, Colby, edam, gouda, jack and muenster. MESOPHILIC STRONG CULTURE – used to make strong flavoured English and American-style cheeses. 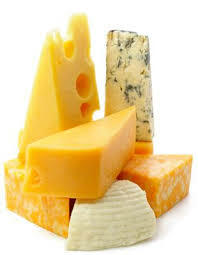 MESOPHILIC MILD CULTURE – used to make mild flavoured English and American-style cheeses. THERMOPHILIC HARD CURD CHEESE CULTURE – used to make gruyere, mozzarella, parmesan, provolone, Swiss and other Italian and Swiss-style cheeses. PROPIONI SHERMANII SWISS CHEESE CULTURE – an additional culture used with the thermophilic hard cheese culture to produce the holes (eyes), aroma and flavour in Swiss-style cheeses i.e. Emmenthal, Gruyere and Swiss.